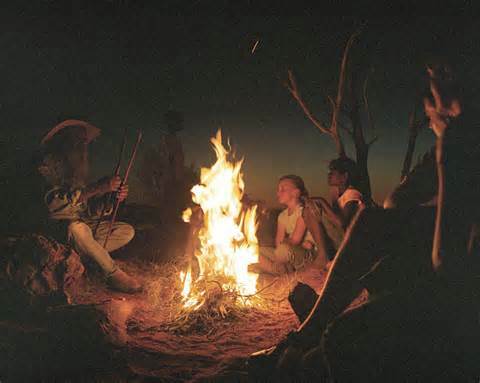 Nonprofits, Sit Around the Campfire and Share Stories - Communicate! Where do you see yourself in five years? That’s a classic interview question . But it’s a question that nonprofit organizations should ask themselves too–and the answer should be a story. Not just a number. Saying “We’re going to serve 25% more people” is fine, but it says nothing about how you’re going to reach that objective. Not just a statement. Saying “We’re going to offer art education to every student in our neighborhood” is inspiring,” but without a vision of how to get there, it may remain empty words. Telling the Where Are We Going Story (as Andy Goodman of the Goodman Center calls it) is a way to share your vision, inspire your people, and make them all the heroes of the story. It’s the only way of describing the future that helps create it, too. Story #2: Tomorrow, we’re cleaning up that classroom. Next week, we’re hiring an art teacher. He gets a budget to go buy supplies. In the mean time, we’re going to put the word out with flyers, email, and social media, in English, Spanish, and Chinese, that we have an art program for children who live in this neighborhood. Elizabeth Weil, in Fast Company magazine, interviewed many business leaders about the power of storytelling. 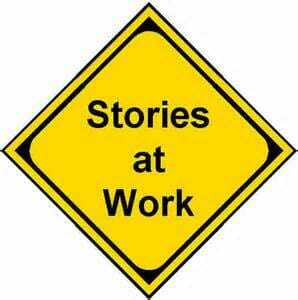 The Where We Are Going story is a basic tool of corporate leadership.